3 Bedroom Detached Bungalow For Sale in Rotherham for Guide Price £290,000. 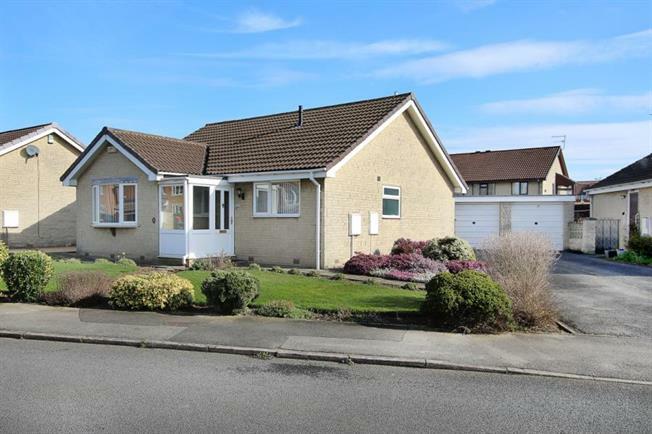 DECEPTIVELY SPACIOUS detached bungalow situated in this sought after and popular location. This three bedroom property has conservatory to the rear, drive, garage and is offered for sale with NO CHAIN involved. As selling agents we expect a high volume of interest so we suggest an early internal inspection so not to be disappointed. Of interest to a varied purchaser the property briefly comprises of front entrance porch leading through to the entrance hall. Entrance hall gives access to the living accommodation. Spacious lounge having feature fire place. Shower room having a three piece suite. There are three bedrooms. Dining kitchen having a range of wall and base units in beech effect and door leading to the conservatory. Conservatory over looking the rear garden. Outside there are well maintained gardens to front and rear. Drive to the side and single garage.